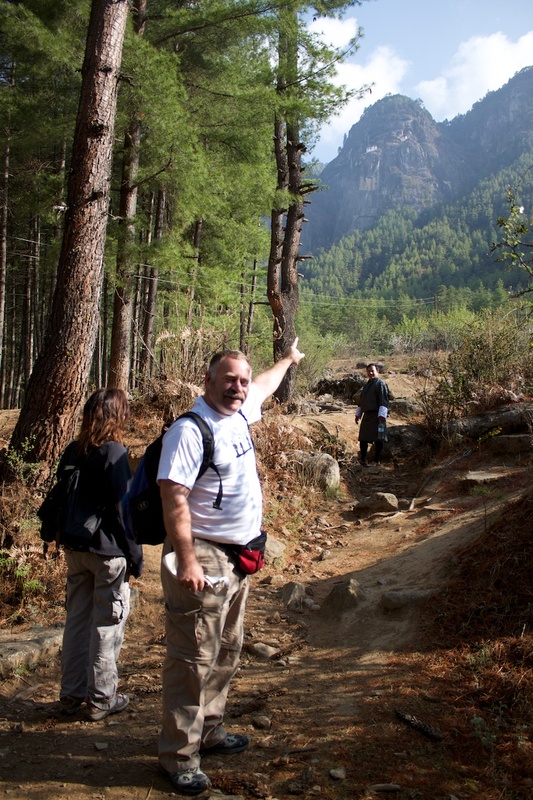 On our last day in Bhutan we did the obligatory morning hike to Tiger’s Nest (2 Hrs uphill). The Tiger's nest is the most revered temple in the country that literally hangs on a granite cliff overlooking the Paro Valley. The hike was steep but you take a break about half way up at a "tea" shop. We got a drink, rested a bit and took a few amazing pictures of the Tiger's Nest. The photo below shows the tea house in the lower left and the Tiger's nest in the center. It took us about an hour and a half, with frequent stops and not walking very fast. If you have ever hiked hills you should be able to do it. The temple itself isn't that amazing but the hike up and the view is spectacular. Its just something you have to do and check off the list.